In January 1777, the Continental Congress asked Mary Katherine Goddard to print the Declaration of Independence for distribution throughout the colonies. She agreed, though she risked her life to print the document. The British considered it treason. It was the second printing of the Declaration, but Mary Katherine Goddard was the first to print it with the names of all 56 signers on it. 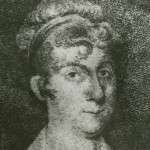 She was also one of the most important printers of the American Revolution. She was born in New London, Conn., on June 16, 1738, the daughter of Dr. Giles Goddard, a wealthy doctor and postmaster, and Sarah Updike Goddard. Her father died in 1762, and her mother moved with Mary Katherine and her brother William to Providence, R.I. Her mother loaned William the money to start Providence’s first newspaper, the The Providence Gazette and Country Journal. William traveled frequently, though, leaving mother and daughter to run the newspaper. Five years later, William started the Pennsylvania Chronicle in Philadelphia with several partners, including Benjamin Franklin. Mary Katherine followed him to Pennsylvania and took over the Chronicle when her mother died in 1770. By 1773, the British authorities started interfering with the mail, eventually forcing the Goddard siblings to shut down the Chronicle. Again they moved, this time to Baltimore, where William started the Maryland Journal. Again Mary Katherine ran the newspaper while William traveled. She also served as Baltimore’s postmaster. In July 1776, the Continental Congress fled Philadelphia to escape the British army. They took the Declaration of Independence and other papers to Baltimore. 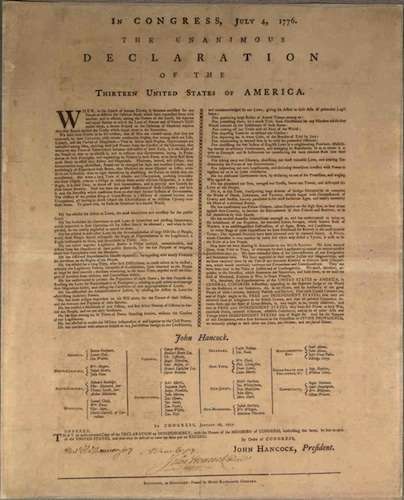 In January 1777, heartened by the Continental Army’s victories at Princeton and Trenton, the Congress ordered a second printing of the Declaration of Independence with the names of all the signers. When the war ended, Mary Katherine Goddard and her brother had a falling out, and she stopped printing the paper. 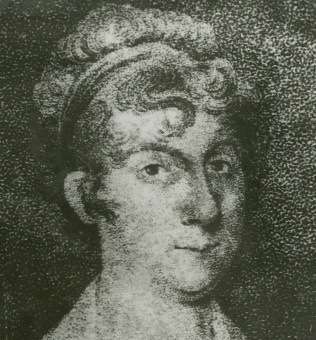 She continued as postmaster of Baltimore until 1789, when she was forced out of the job, over the protests of the Baltimore business community. She stayed in business selling books, stationery and dry goods until the early 19th century. Mary Katherine Goddard died on Aug. 12, 1816. Image of Mary Katherine Goddard courtesy the Enoch Pratt Free Library. This story was updated in 2017.